We are pleased to announce our newest subdivisions. We have a new development "Concord Place" conveniently located off of Godfrey Road. Come view our custom built condos, display model available for viewing. 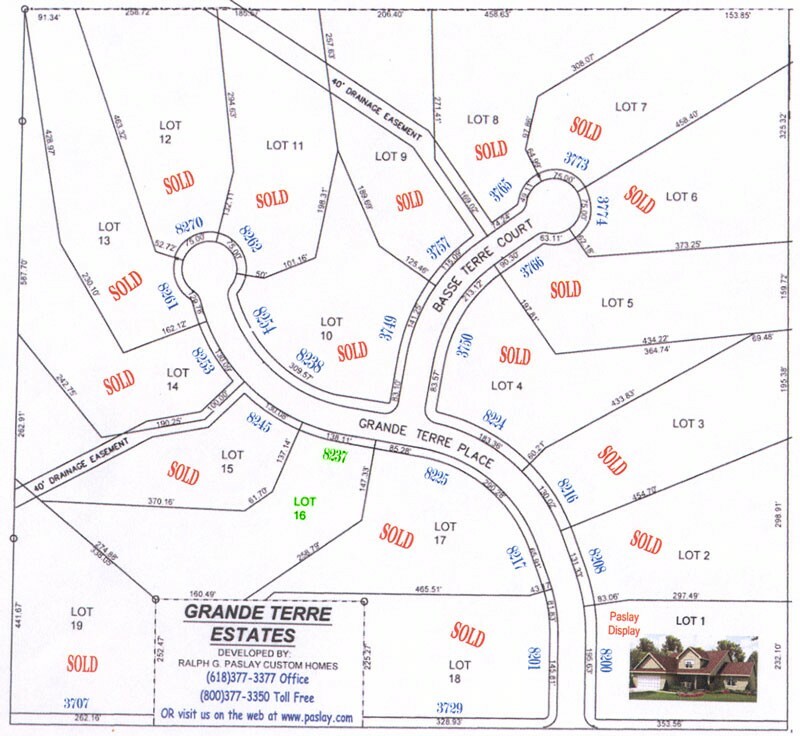 Just a single lot remains in our Grande Terre Estates Subdivision. Just 2 miles from I-255 overpass off of Fosterburg Rd., on Torch Club Rd. 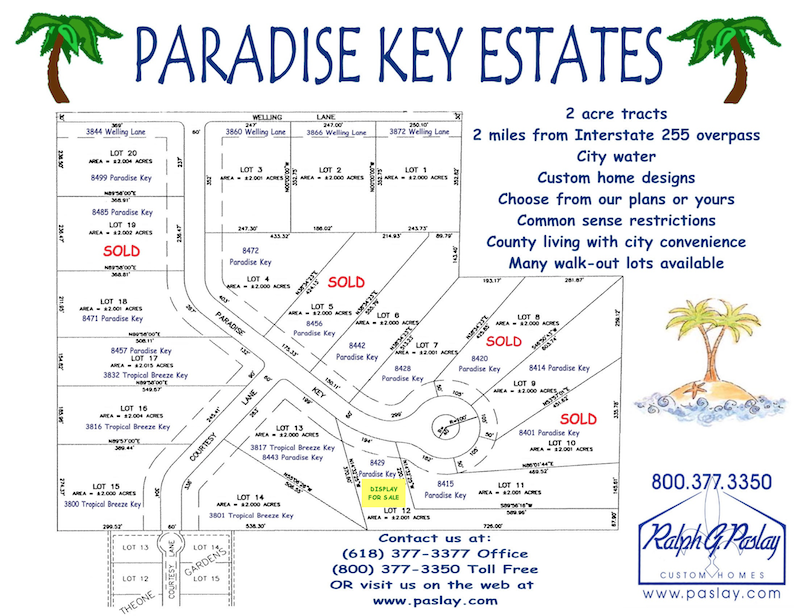 Adjacent to Grande Terre Estates is one of our newer developments "Paradise Key Estates" located off of Fosterburg Rd., West on Seiler Rd. to South on Welling Lane. 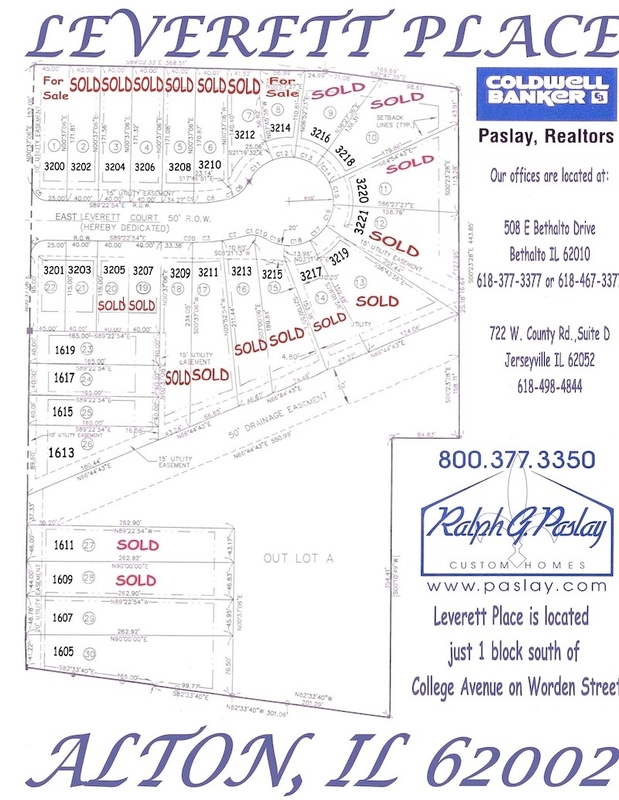 All homes are custom built by "Ralph G. Paslay Custom Homes". A custom display home is currently available for viewing located in our Leverett Place subdivision; please call for appointments. You may design your own floor plan or you may choose from the many plans we have to offer. We make it easy for you to finance your new home as well. The local banks offer a variety of loan programs to suit your needs and we will be happy to assist you in arranging these loans. We organize the construction loan for you so you have everything taken care of. 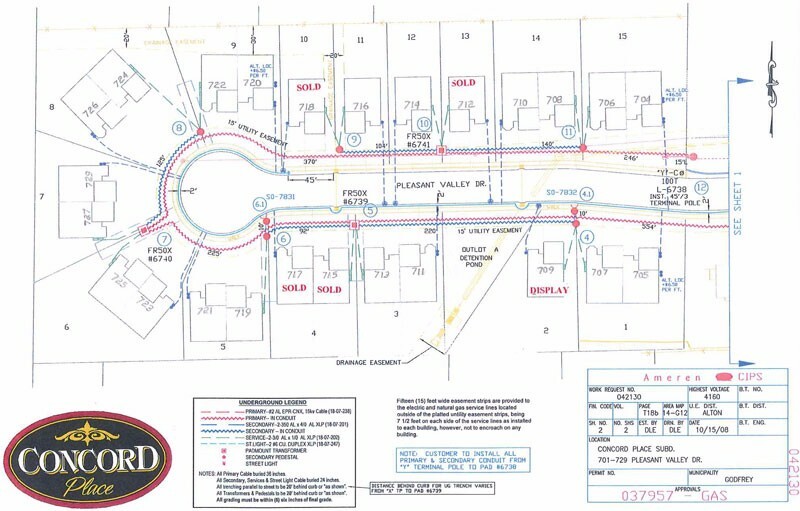 Many of our subdivision may qualify for "Rural Development" 100% Financing. That's right, -0- down payment. Want to build your dream home? We're ready to help! 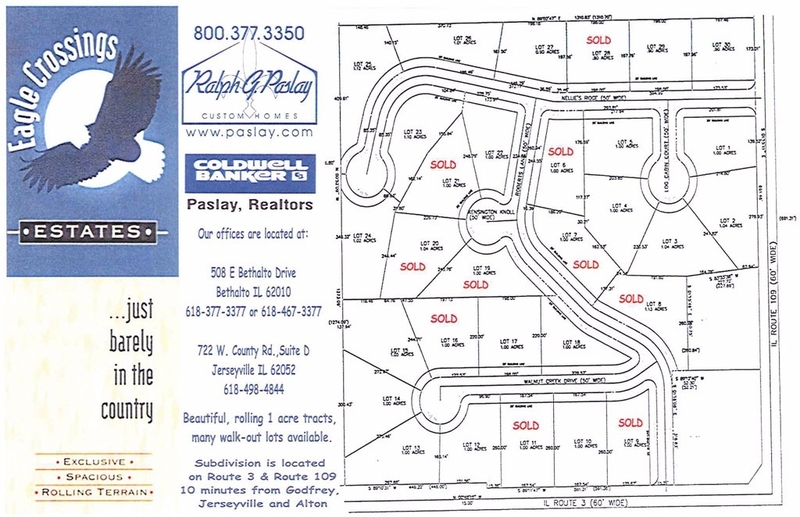 Come see us at Ralph G. Paslay Custom Homes, 508 E. Bethalto Dr., Bethalto, IL 62010. Or call, (618) 377-3377. Have financing questions? Call (618)377-3377, ask for Marsha.